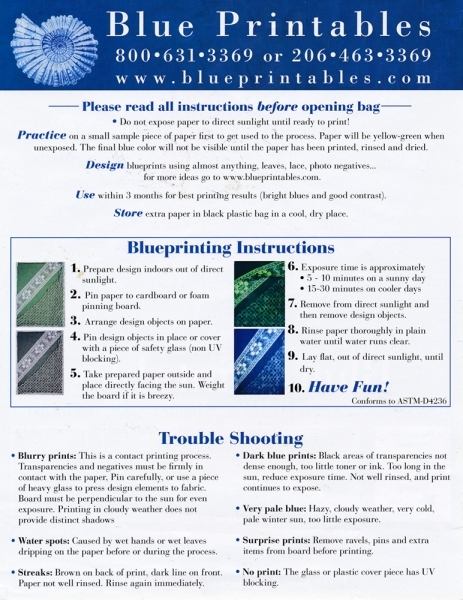 Blueprint-Printables are 100% natural fiber pre-shrunk and pre-washed fabrics and 90 lb. 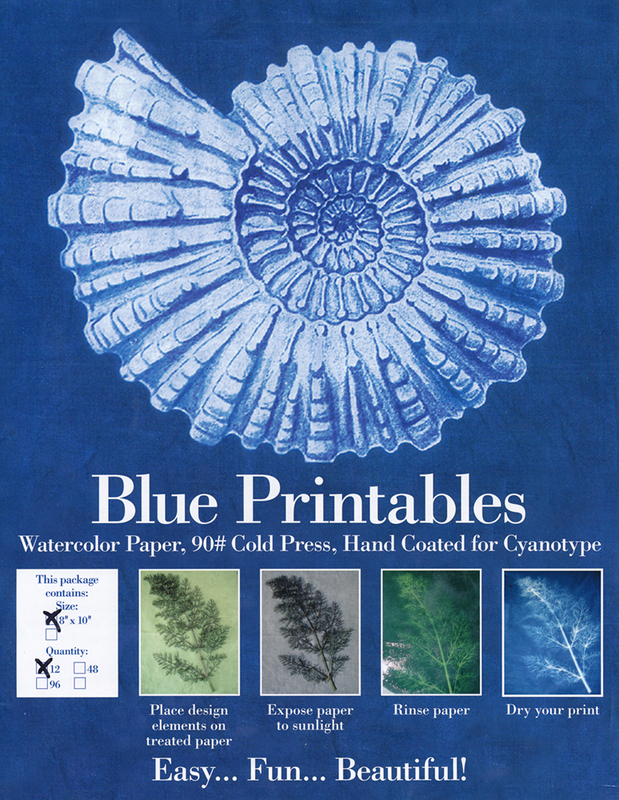 cold press watercolor paper. 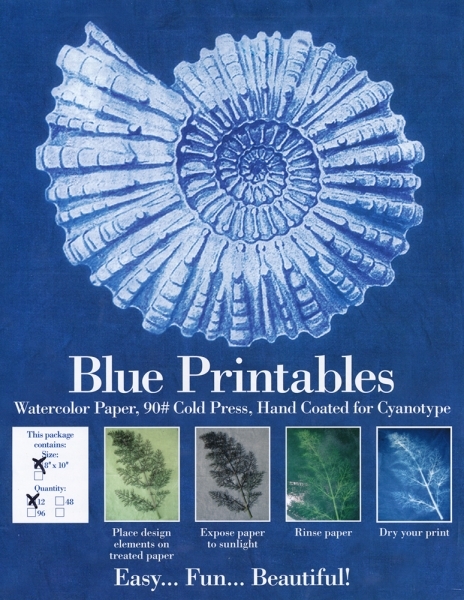 They produce high-quality, rich cyanotype prints. Easy to use and no chemicals to mix! Non-toxic printing.